Described as ‘flawless’ in reviews, The Illegal Eagles are internationally renowned for their outstanding ability to recreate the Eagles’ distinctive sound with both flair and incredible authenticity. Having toured for more than two decades, they remain true Eagles fanatics, with stunning vocals, tight harmonies and awesome guitar riffs. Their latest production delivers all of the Eagles’ classic hits, including Hotel California, Take it to the Limit, Life in the Fast Lane, Take It Easy, Lyin’ Eyes, Desperado and many more. 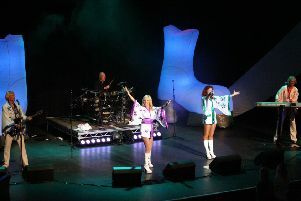 They take to the stage at the Clasketgate venue on Saturday, May 11, with the show starting at 7.30pm. theatreroyallincoln.co.uk or call 01522 519999.